Granted the best of steelhead fishing is the morning and evening- the cool parts of the day when we have the best opportunity for success on the surface – there is no arguing with that! But now, lets say you blanked on the morning fishing session and now you’ve got just the late morning sun and a bit of mid-day before the office, home and kids are all requiring your attendance. What to do? 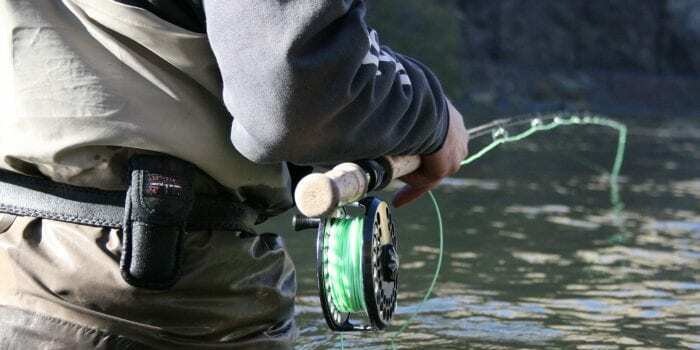 You can find a few spots to hit a fish with the surface pattern and dry line if you can find the right sun angle- but on a river like the Deschutes that flows to the north while the sun rotates to the south this endeavor can and often is only casting practice. The real deal for making this time on the water count is to get your fly down and use the right pattern. Start by using your winter steelhead approach such as Skagit line, sink tip (T-11 or T-14) short leader and fish choppy water deeper with structure. One of my favorite flies for this time of day is the Crandall’s Wedding Dress-this fly is now produced commercially by Spirit River Fly Company. What is great about this fly is fish can see it! 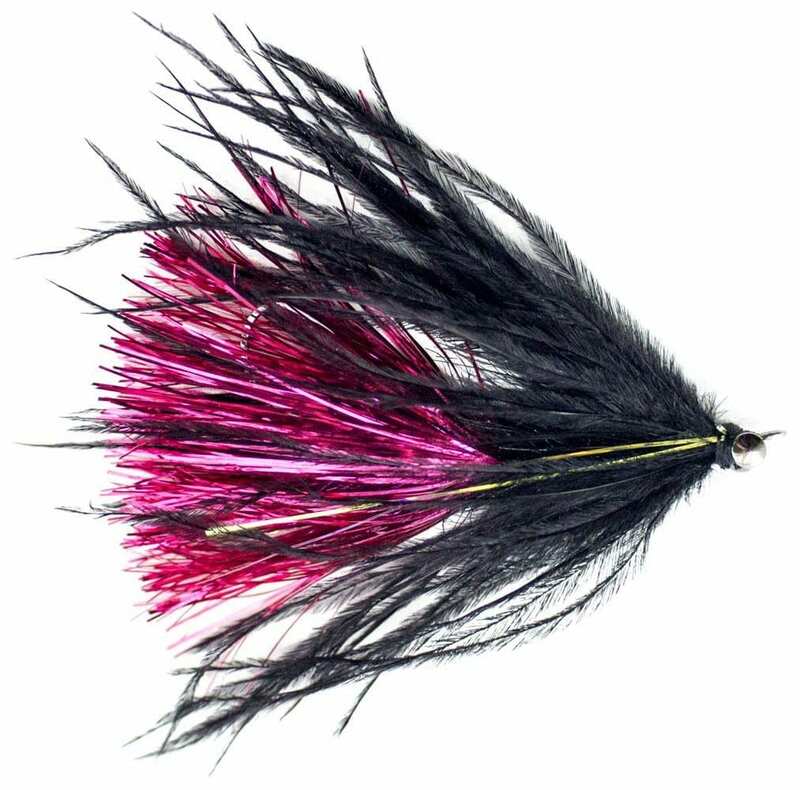 It has an articulated segment that allows the fly to move and flash and grab the attention of aggresive mid-day fish. A medium lead eye helps to keep the fly moving and if you tie it on with a loop knot you will acheive maximum movement and flash. Try this pattern in Blk/Blue or Blk/Cerise. It works well on summer and winter fish, coho and chinook too! Best of luck with your mid-day steelhead time!